A bridal shower is such a special time in a woman's life. The bridal shower usually occurs for the special bride right before the wedding, at a time when excitement is very high. The bride's family and friends are all gathered together, and she knows that soon, she will be married to the man she loves. One thing that can make a great bridal shower much better is bridal shower decoration. Your decorations can be different depending on several things. One thing you need to know is where the bridal shower will be. Will it take place in a banquet hall, a hotel ballroom, an outdoor garden, or a home? 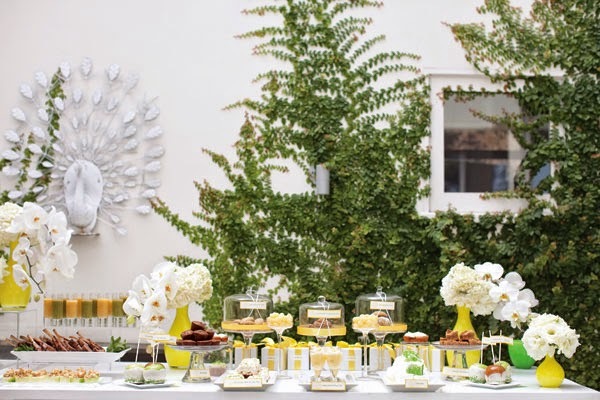 The location of your bridal shower has a lot to do with what types of decorations you should choose. Indoor Bridal Shower Decoration For example, one great idea for a banquet hall is to place tables all around the room against the walls. These tables can be covered in beautiful white lace, and the centerpieces placed on each one. For this kind of bridal shower decoration, you can use several smaller centerpieces on each table instead of one huge one. You could also do both if you wanted, with the largest centerpiece on the table in the center of the room. Around the centerpieces, a really cute idea is to fill silver picture frames with black and white snapshots of the bride and groom to be. You can also place small vases of beautiful colorful flowers on the tables to contrast with the silver and white. This is a really cute idea for bridal shower decoration. 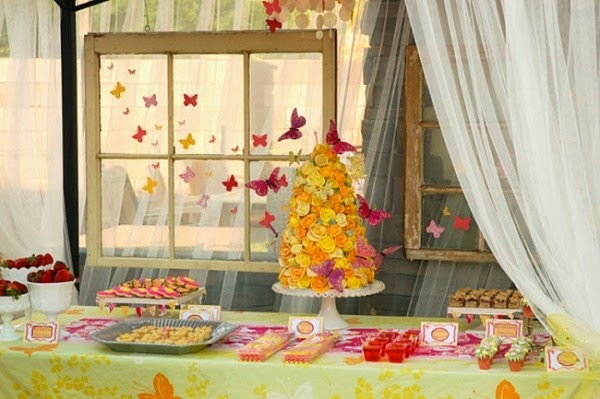 Some women have their bridal showers in a great outdoor location such as a lovely garden or backyard. 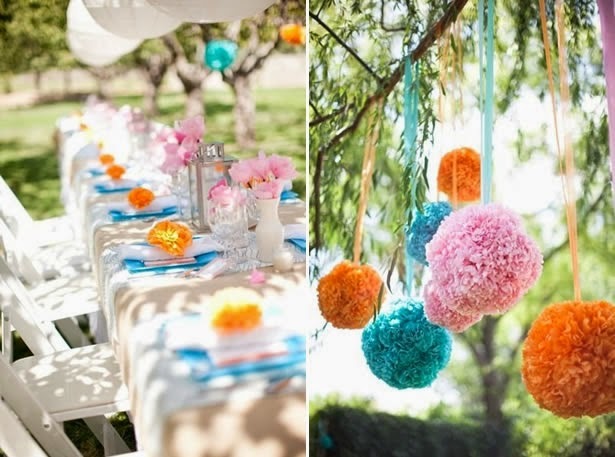 This is a great opportunity to use some beautiful bridal shower decoration ideas. Having Paper lanterns, hung from branches of trees is a beautiful idea. This creates a soft and whimsical glow that will add to the beauty of your bridal shower. Outside is a great place to use candles around the bridal shower area. If you have several tables set up, placing a beautiful candle centerpiece on each one is a great idea. If you will be having your bridal shower around a pool, fill the pool with floating candles and light them. This effect is stunning and beautiful. In any setting, flowers are a great addition to bridal shower decoration. Choose beautiful colors that you love, and mix and match them with other coordinating flowers. Some women will use different flowers for what month they are getting married in. For example, June weddings are gorgeous with Honeysuckle and Roses for bridal shower decoration ideas. If you were having a December wedding, Snowdrops and Holly would be a gorgeous addition to your bridal shower decoration ideas. The most important thing to think about when choosing decorations are what make you feel the happiest, or what you love the most. This will be something that you can look back on your whole life. You want those memories to be cherished and happy. Choosing things that you will love, and that will make you feel good is the best idea. 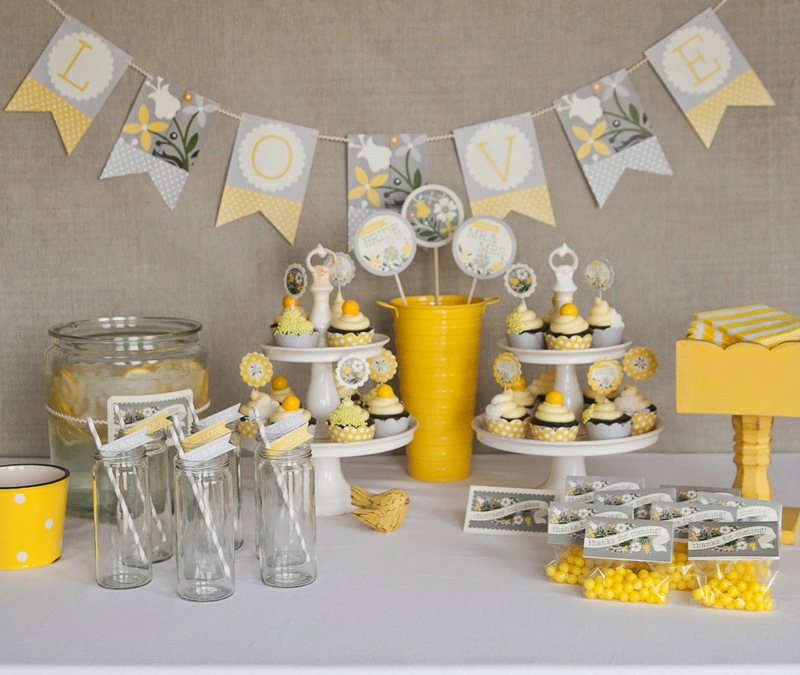 The tips and ideas in this article will help you think of creative and beautiful bridal shower decoration ideas that will give you and your guests something to remember always!